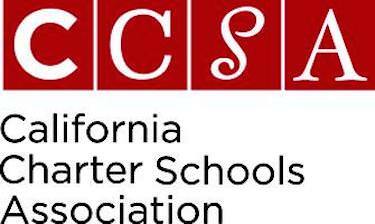 A recent report issued by the California Charter Schools Association (CCSA) found that charter schools in the state are excelling at getting historically disadvantaged students into college over traditional schools. The report also concluded that charter schools serving majorities of low-income students have a college acceptance rate of 21 percent, compared to a traditional school rate of 11 percent. Reinforce the need for access to A-G completion for all historically disadvantaged students as one of the starting points to ensure educational equity in college-going outcomes. Improve data collection and availability of post-secondary data to facilitate additional research into what is working for charter schools and how to replicate their students’ college and career readiness. Open more high-quality, autonomous charters as a promising way to give our students a step up into higher levels of post-secondary education which will influence the trajectory of their lives. The CCSA report, called Step Up: How Charter Schools Provide Higher Levels of California Public University Access, will likely by cited by charter school supporters in Los Angeles as they look to drum up support for Great Public Schools Now, a nonprofit that wants to expand charter access in LA Unified. The plan has been denounced by some members of the school board and the LA teachers union, UTLA, as one that could bankrupt the district and union due to the potential enrollment loss. The report, which was released April 19, comes just in advance of National Charter Schools Week, which is a public campaign run by the National Alliance for Public Charter Schools. Last week the organization released the results of a poll finding that 78 percent of parents support a charter school opening in their neighborhood and an equal number of parents favor more public school choices, regardless of where they live. “During National Charter Schools Week, we recognize the role public charter schools play in providing America’s daughters and sons with a chance to reach their fullest potential, and we recommit to strengthening our nation’s classrooms for all,” President Obama said in a statement.